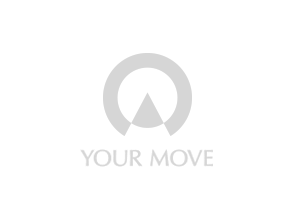 Your Move Hobin Roberts is an estate agency franchise of the larger Your Move network. Ian Hobin and Neil Roberts joined forces in 2004 to create the company and take over the Northamptonshire group of offices. Working together for over 25 years as former Sales Directors of Your Move, they bring a wealth of knowledge and experience to the business making Your Move Hobin Roberts franchise the success it is today. Ian and Neil have maintained the finest aspects of being part of a national organisation and combined it with the care and attention you would expect from a locally owned franchise business. Of course they couldn’t do it alone and have carefully selected a team of very proactive, dedicated individuals who get results. It’s the energy and enthusiasm they put in to selling and letting properties that makes the difference. Offering sales and lettings throughout their branches they have kept the traditional values of a well established estate agency and merged it with cutting edge technology, creating a winning combination. Key to their success is the ability to access a national database of customers. All branches within the Your Move network are linked, so, when a house goes on to the market, it’s immediately available through every branch across the UK. They have extensive internet coverage across numerous property portals and are proud to have the UK's number one estate agency website. This puts Your Move Hobin Roberts at a distinct advantage over its competitors and offers an outstanding platform to show case any property. With six prominently placed branches across Northamptonshire they are well positioned to serve the local market. Opening seven days a week ensures the teams are more accessible to their clients and they pride themselves on their customer service. Working alongside local companies Your Move Hobin Roberts offers a vast array of property solutions to keep the moving process as simple as possible. They are on hand to assist clients every step of the way. Having affiliations with financial advisers, solicitors, removal companies and many more property services, they endeavour to exceed customer expectations. So if you are looking to buy, sell, let or rent a property within Northamptonshire contact Your Move Hobin Roberts, and make your next move with Your Move. The agent that get results.